FIRST FIELD TEST – Camino de Santiago – OpenUpRoutes! 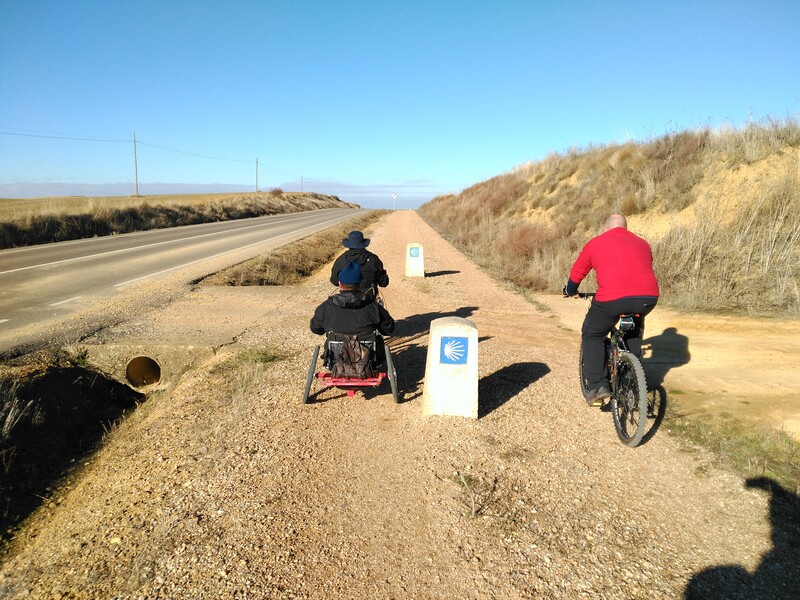 During autumn 2016 the S-Cape Travel Agency together with the Association for the Promotion of Tourism Adapted of Asturian Association for the Promotion of Adapted Tourism (APTAA) carried out two field visits in order to travel and evaluate the degree of accessibility of several branches of the French Camino de Santiago Francés; both with regard to accessibility of the route and accommodations located along these legs. The field work involved the participation of 2 technicians of S-cape agency specialized in design of tourist packages for trekking and biking, 2 technicians of APTAA (Asturian Association for the Promotion of Adapted Tourism) and 2 volunteers who collaborate with this organization. In order to travel the corresponding stages, they used 2 bicycles, 1 manual hand bike, 1electrically powered wheelchair and a minivan. Guida al Cammino di Santiago Per Tutti. Autores: Pietro Scirulo y Luciano Callegari (FreeWheels). 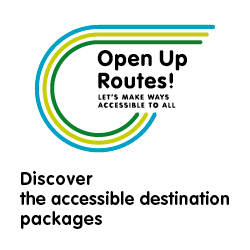 Stages travelled previously with APTAA on field trips carried out by the Associations with groups of persons with impairment. The following issues about the route were evaluated: type of road surface, trail width inclination, slope and possible obstacles. Booking www.booking.com. Ticking “Facilities for disabled guests” in the “Facility” menu, you can search for accommodations with ‘accessible installations’ and/or ‘lift’. 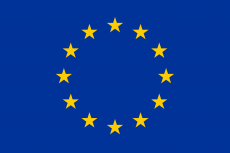 A total of 163 establishment were identified as accessible; 55 were visited in situ checking the actual accessibility of adapted rooms and bathrooms as well as other aspects of their installations (access, parking spaces, lift, furniture, dining room and other common installations, additional services, etc…).